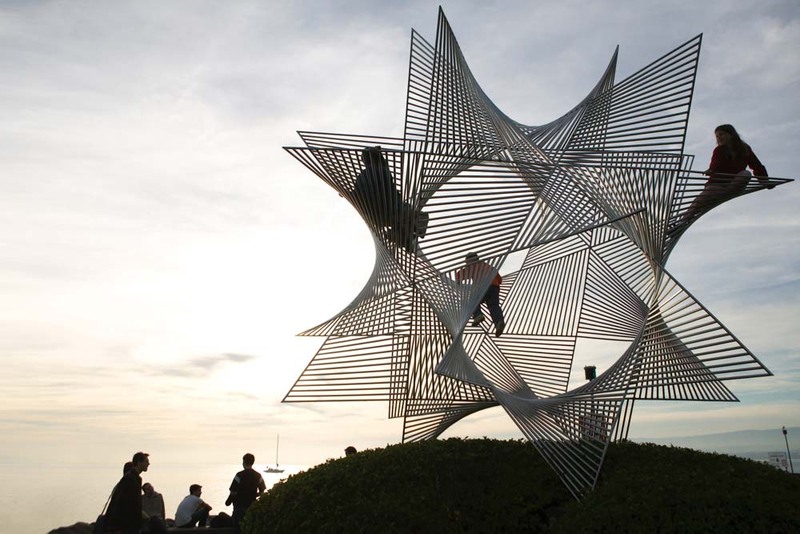 Sculpture on the lakeshore of Ouchy, Lausanne. Behind the Charles-Bessières bridge is the Notre-Dame Cathedral. 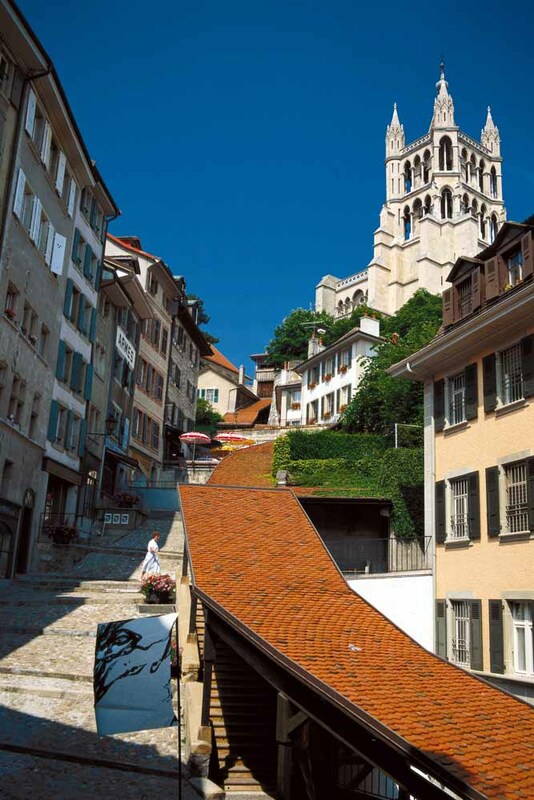 The Escaliers du Marché are steps that take you through a scenic walk to the Notre-Dame Cathedral in Lausanne. 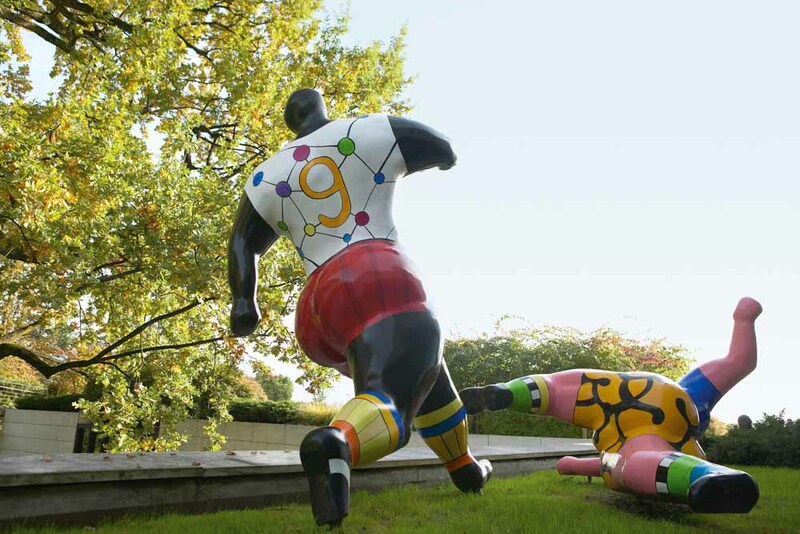 Soccer player sculptures displayed in the park of the Olympic Museum in Ouchy. 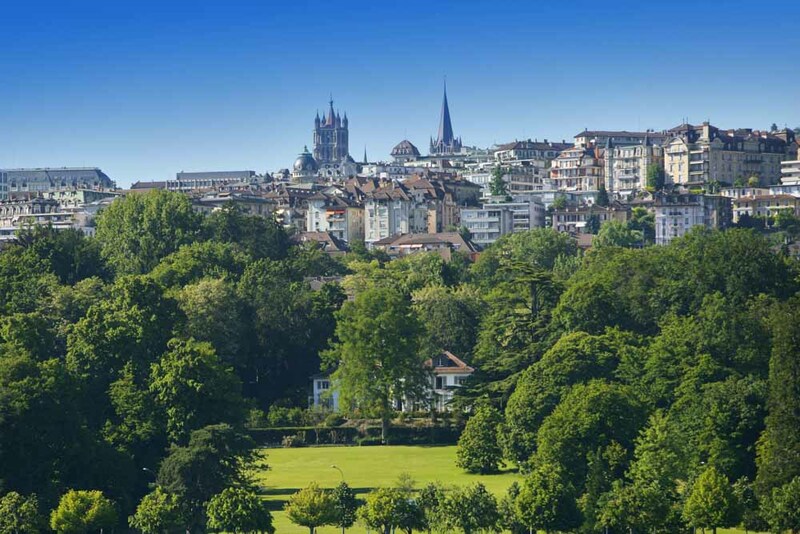 The very green and lush city of Lausanne. Sitting high on a sweeping bend of Lake Geneva with stunning alpine views, Switzerland’s Lausanne is a cultured, graceful city with a youthful population and splendid natural setting, making it well worth exploring. 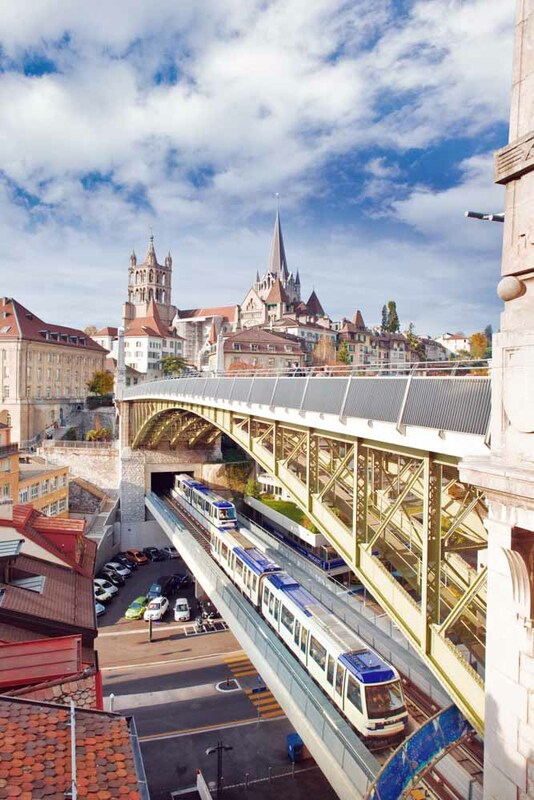 Brian Johnston helps you find the best bits with the essential Lausanne city guide. The chic wine bar and restaurant Nomade is a favourite among the trendy 30-somethings of the city. It has a great selection of wines by the glass to go with tapas or serious menu dishes such as prawn-stuffed tortellini or quail breast on risotto. Café Beau-Rivage has a lively buzz overlooking the lake at Ouchy and is decked out in elegant brasserie style. Try local lake perch as you inhale the scent of garden roses. The city’s Notre-Dame Cathedral is a Gothic masterpiece featuring soaring arches and stone-sculpted entrance doors, and the Old Town makes for a steep but very pleasant wander. Keep walking to the well-heeled lakeshore neighbourhood Ouchy, with its kilometres of flower-flanked promenades and views across Lake Geneva to the French Alps. Meanwhile, the Musée de l’Elysée has great contemporary photography. The Collection de l’Art Brut features ‘outsider art’ created by people in mental institutions and criminal asylums. Its papier-maché figures, eggshell collages and lopsided sculptures will have you reassessing what ‘normal’ means in art (and people). Boutiques selling quality antiques, collectables and fashion hunker in the medieval Haute Ville (upper town) behind the cathedral, especially along Rue du Bourg. Down below this, around Place St François you’ll find high-street chains, watchmakers and department stores like the elegant Bongénie Grieder. This small, self-confident French-speaking city is perhaps best known as the seat of the International Olympic Committee, with the family-friendly Musée Olympique as one of its drawcards. It is a lavish, high-tech romp through the history of the Olympic Games, and its surrounding sculpture-dotted gardens are just lovely. Hip newcomer Blackbird Coffee & Breakfast Club provides leisurely lingering, rustic-but-modern décor and great in-house coffee. Go the Swiss croissant or muesli route, or break out with a full English breakfast. The family-run Hôtel des Voyageurs has a central but quiet location and comfortable contemporary rooms in a renovated Art Deco building. Lhotel is a sleek, cheerful, budget choice in the middle of the trendy Flon district downtown, great for shopping and nightlife. On the shores of Lake Geneva, Beau-Rivage Palace is one of Europe’s finest hotels, with elegant rooms and suites, beautiful views, and a spa.